You love your dog but your furry family member is a handful to live with? This is the group class for you! Many group classes teach a set of commands but fail to help you having a successful relationship with your dog. What do you do when your dogs beg at the table or pay no attention to you when you ask them to do something? Bossing your dogs around with commands they don't listen to is counter-productive. It can be frustrating when you're talking past each other. Understand how your dog sees the world. Your dog is not a person with fur. Their view on things is through the lense of a pack-oriented, territorial predator. Dogs fundamental nature hasn't changed just because we domesticated them. Learn what causes your dog stress and how to reduce it permanently. Stress is one of the main reasons dogs react towards other dogs, sounds or other things. You'll also be able to help your friend relax faster if things come up. Develop a strong bond of mutual trust and respect through building the perfect rewards game for your human/canine team (it will be different for many attendees). 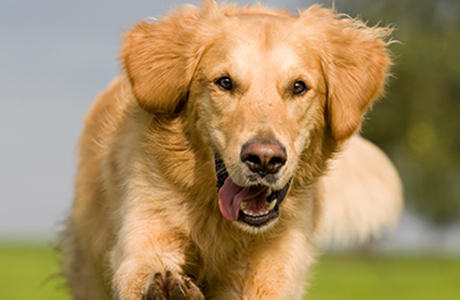 We will help you discover what is most rewarding to your dog for maximum fun and bonding. Get your dog's attention when you're out and about. Your buddy can learn to find you more interesting than the environment and focus on you instead. Develop a clear communication system with your dog, so your messages are understood. We teach a comprehensive marker system for maximum clarity. Take the frustration out of the leash and collar and eliminate all pulling. Your dog will become a loose-leash walking champion. Teach your dog how to handle liberty. Yes, LIBERTY. It's not about how solid your sit-stay command is but what kind of relationship you have. For comprehensiveness we will teach you some commands and show you how to teach your dog pretty much any behavior using the foundational skills we outlined above but the class focus is not on teaching commands. Each group class runs eight consecutive weeks, with one class each week. Each class is two hours long. Each class is limited to 10 dogs, so we can give you maximum attention. Classes consist of lectures and hands-on work. We'll mix it up to keep it interesting and give your dogs time to rest. All classes include your dog. Prices are per dog and every dog needs to come with their own handler. All dog handlers need to be 18 years or older and kids under 18 years of age need to be accompanied by an adult handling your dog. You're welcome to bring your partner. Each participant (per dog) receives one hour of one-on-one coaching on whatever they are interested in. This can include more training, or discussing specific issues, nutrition, etc. Your choice. Classes are held on Saturdays or Sundays in San Dimas, Corona, and Mission Viejo and current schedules and class dates can always be found on this page. This class is highly engaging and motivational. You and your dog will love this different way of working and learning together! The equipment used in this class is the following: 1.5-2 inch wide, flat collar (depending on the size of your dog), 18-ft tracking leash, 6-ft leash, slip-lead, treat pouch and training treats. We will have all equipment for sale at each class but you are happy to bring your own equipment. Initially please bring your dog on whatever equipment you're most comfortable with but all dogs will be transitioned onto flat collars. Please make sure your dog can't pull out of your equipment. We are in an open park area.